Several Food Experiences are being planned thoughout the months of the festival. 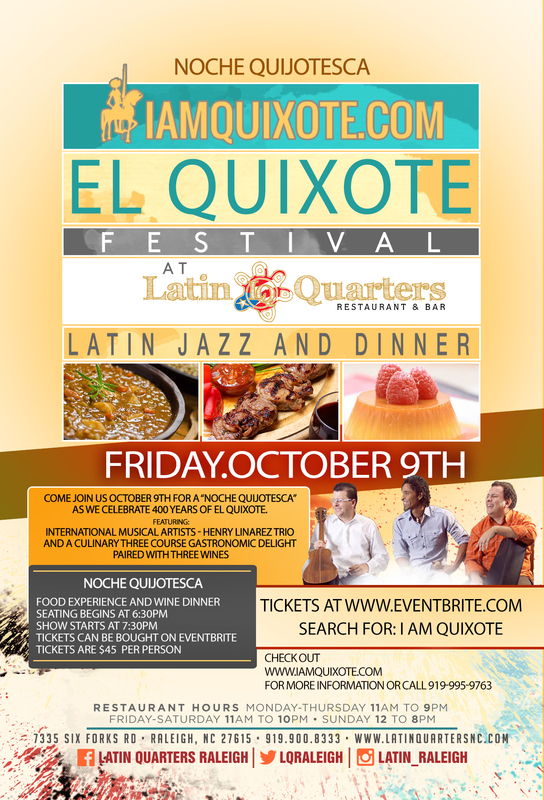 The first is scheduled for October 9th at Latin Quarters Restaurant and Bar. As We Celebrate 400 Years of this amazing Literary Masterpiece with a culinary delight and Live music featuring: International Musical Artists The Henry Linarez Trio. aceite de oliva y un toque de especias. Servido con arroz amarillo. olive oil and a touch of spice, served over yellow rice. Flan española tradicional con frambuesas. Latin Quarters (L.Q.) restaurant & bar is Raleigh’s premiere dining and music destination!. L.Q. 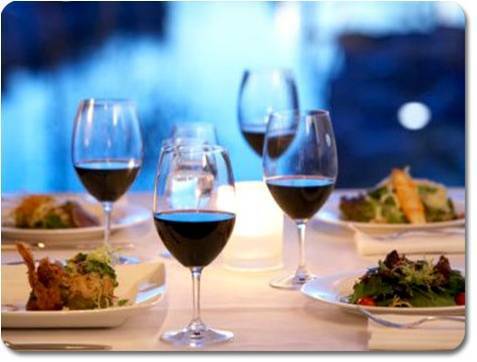 provides an exciting and sophisticated menu Specializing in Puerto Rican Cuisine. Our extensive list of drinks and cocktails, created by our expert bartenders, will enhance your dining experience to a night you will never forget. Besides the great food and drinks, our nightlife entertainment will be filled with great events such as, live salsa bands, performers, and local and international DJs. Salsa lessons are available, please call for further details. Due to situations beyond or control this event has been postponed to a later date. We are working on the event and will post as soon as we have a new date and location. Sat April 23 2016 (400 years after his death). Sopa de Garbanzo: Garbanzo Bean Soup with chorizo and smoked paprika oil. Spanish Brandy Truffles:Spanish figs filled with brandy truffle wrapped in dark chocolate.